Like they say, when it rains, it pours, and it certainly showered down on the Dodgers nonstop today. As even the man on the moon knows by now, young Dodgers superstar, Corey Seager, had his season cut off at the elbow today, when it was announced he will undergo season-ending Tommy John surgery. The Dodgers were still trying to figure out how to react to the sudden benching of their other young superstar, Cody Bellinger, when that news broke, prior to the start of a three game series against the powerful Arizona Diamondbacks – and all of this on the heels of being spanked all across the bay area by the hated (but victorious) San Francisco Giants. There was a game that still needed to be played, and I guess they did their best to compete, but it was as useless an effort as we’ve seen in this season full of useless efforts. Ex-Dodger mercenary, Zack Grienke, struck out 10 and the Dodgers’ pitching staff gave up three home runs to DBack A.J. Pollack. Ross Stripling started for the Dodgers – because of course, Rich Hill is injured – and of course, he stunk. Stripling gave up four runs and only lasted four innings. The lousy Dodgers’ bullpen then came on and surrendered the other four runs. Every time the offense scratched back, the pen gave the runs right back and kept the hole just as deep. 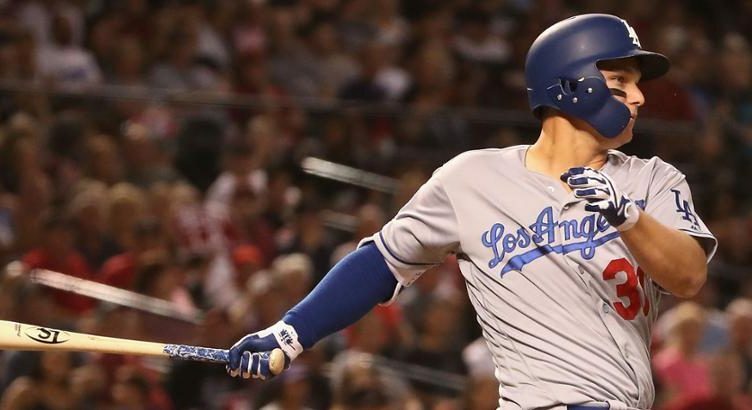 In the lone bits of good news on the day, Joc Pederson continued his hot hitting with men in scoring position, driving in a two-out RBI, and Matt Kemp did the same. Up and coming Max Muncy hit his second home run of the season as well. That’s it folks. Light a candle and pull the covers high over your head tonight. Tomorrow we change the calendar. Let’s hope May will be kinder to the boys. Corey Seager Resisted Offseason Surgery, So He Cheated Us – Right? IT’s the same old tune being played out in Roberts’ head. Don’t use someone who is not a starter. Stripling is not a starter, that’s why he is in the bullpen. If he has any value, it’s there. Hudson should be gone along with Stewart. Both of these guys have shown nothing to me. And, who am I? Just a fan. Does Roberts have some special sight that allows him to see these players in a different light? fuggedaboudit. Roberts is about losing. Why would you put these losers into a game that you want to win? It’s hard for me to imagine this but Roberts just might be the worst Dodger manager I’ve ever seen when it comes to pitching decisions. This guy is not major league material. He is much worse than Mattingly and that is saying a lot. Bullpen and starter failed miserably. The bats try to keep us in there, but the power is gone, probably 50-100 HR’s less than last year. Good catch Yueh. Looks like handwriting on a wall. YF, I’m not really following your point about the markets. Could you elaborate a bit? It’s a statement from Guggenheim Partners, you know, the majority owner of the Dodgers. What does that have to do with the Dodgers and especially how this team is put together? Our priority at this stage of the season is to try to rebuild the bullpen with our depth players. Even if some of them are just doing so so in AAA. We also need to shut down Congrani if he’s experiencing dead arm. No more Baez and Alexander. Get Venditte and Paredes up. Then we need to play our kids and play small ball. Verdugo needs to be given a long look. And play Farmer. Barnes may need to be sent down for a bit. It know Jake Peter is not doing well but he’s got some MLB time and he may surprise. Time to let the depth play. If they’re not doing this I fear they are just trying to “hide” the so-called depth. I don’t think Roberts is worse than Mattingly but I think he’s really got to start over with this team. Whatever preconceived notions he’s has about these players are wrong. Start over. I forgot to mention Broussard as well in OKC. He and Venditte should get their shot. I still like Stripling, just not as a starter, although Arizona is a tough place to pitch for anyone. Greinke did ok. 2 earned in 6. Yeah, try some new guys in the pen. Looking at the ERA’s in the box scores the last several days tells me we need to look for some help. I like that you pointed out Roberts preconceived notions about these players. He also says he has loyalty, but I only find that with certain players, that are probably pushed by the front office. I don’t think it was good business to not go over the luxury tax to an extent, for at least arms in the pen, especially after going to game season in the World Series the year before. And if they were so worried about the luxury tax, why did they give the money they did, to Forsythe and Joc, who performed terribly the year before. I am sick of spell check, that is suppose to be game seven. Well, Bellinger responded. 0 for 4 with 2 Ks. It wouldn’t have happened without him last year and won’t happen without him this year. This team looks like it has mono. Maybe we just let them sleep a couple more weeks and they’ll be ok.
We scored 5 and were never really in it. Pitching. I got a bad feeling about this staff. It just feels like we won’t be shutting down offenses any time soon. Like I just said above, it was not good business to not go over the luxury tax to an extent, to get a couple good arms in the pen, after going to the World Series the year before. After a season like that, you have to take advantage of what you have, and enhance your team with even more talent. But that is taking an risk, and this front office tend to not take risks, and that is why they are always looking for cheap players that might have a high upside. And they are always looking for the best deals, but really good players can’t be got with a good deal. You have to take some risks sometimes, to get where you want to be. Don’t feel bad, it is obvious their chooses are not working, are we would be winnining. I still agree with you, that Kemp should be getting most of the at bats, in the outfield. Looks like Kemp made the lineup tonight. He is in right field with Verdugo in Left and Joc in center. Hopefully he will have a good game but not playing does not help. I still think Roberts will hold out Kemp as much as possible. Gotta help baby Joc. I don’t know why they are not playing their best players, after losing series, after series? You have to go with your best. They are doing exactly the same thing they did last year except last year it worked and they were not down 4 of their starting 8. Including 3/4 th’s of their infield, and you know as well as I do that Roberts and the FO do not think that way. I heard Joe make a statement on the broadcast the other day that kind of floored me. He said they script these lineups in advance of a series when they know who is pitching for the other team. I heard that too, but that is funny, because they are playing players, even when their numbers don’t support that they should play, against certain pitchers. They are going with the platoon advantages, except some players, have reverse splits, so you can go with every leftie, when a rightie is pitching. And right now, their way, is not working, is it? And you didn’t like it, when they did this last year, either. Just like you didn’t like when Roberts pulled Puig out of a game, just like he did to Cody, the other day, that you had no problem with. MJ, it was not that I did not have a problem with it. It was the fact that I did not watch the game and the play, so I could not in all honesty have a solid opinion about something I did not see. They showed the double in the re-cap, but not Cody slipping coming out of the box nor Roberts pulling him. But what I said about Roberts is totally true. It was his decision and his judgement. Whether he was right or totally wrong was not for me to say. But like you, I have never in a game seen Cody not hustle on every play. Michael, the entire Bellinger reaction, from pitch to him standing on second, was recorded by the centerfield camera. He did a lot of things wrong and if he’s not admitting to it that’s on him. He went to one knee, something you never want to do as it makes you at least one step late to first base. He watched the ball while carrying his bat 2/3 the way to first base. You NEVER carry the bat as there is no way you can run full speed with a bat in your hand. You don’t watch the ball while jogging to first! You know that! It’s showboating and it’s bush! You run as hard as you can out of the box EVERY TIME! He should have been on third and he knows it. If he’s not fessing up to that then shame on him. Problem 1. The bullpen: Before the season started we heard how Zaidi, Roberts and Friedman felt this bullpen was going to be as good if not better than last years group. They had Jansen, Fields, Cingrani, Stripling, Baez and the expected return of Yimi Garcia, and the new guys, Chargois, Alexander, Koehler, with depth behind them. Well, Garcia is still rehabbing, Koehler is down for who knows how long. Alexander has proven to be a bust and is in the minors. Cingrani has DEAD arm….Baez has DEAD brain. Stripling has been effective as the long man. Fields has done ok. Jansen is not Jansen yet. Cingrani has had a few good games. And thank god Font is gone..he should have never been there in the first place. Since his recall, Liberatore has been pretty good. It needs to get fixed. Part of the problem is over use. Starters are not pitching much past the 5th inning and when they do, the team, due to problem 2, are either behind or hanging on to a slim lead, which lately evaporates like water. Problem 2..Offensive inconsistency: Most of the team are not supplying consistent offense. The power output is down, they strikeout way too much. They do not bunt or steal bases. They are very weak at manufacturing runs. The leadoff man leads the team in strikeouts. That is totally unacceptable. Roberts tinkers with the lineup almost every day. So there is a lack of continuity there. They are missing big pieces and that is only part of the problem. When they are patient and work the count they are more successful, but they are doing that sporadically. And they lack spark. They lack any kind of fire. You can see it all the time. They are a very boring team to watch except on those few days when all of a sudden they are hitting everything thrown up there. But that has happened a lot less frequently than last year. Everyone keeps saying it is early, and in a sense that is true, but it is May now. Before you know it the trade deadline will be here. As constructed right now, this team is not a contender at all. Will they get better? Maybe, but I would not bet the farm on it. The starters have to step up, the relievers need to throw strikes and not right down Broadway to be hammered over the fence, the offense needs to function as a unit and not 8 guys pulling in different directions, and the front office needs to realize that waiver wire pick ups and injury prone players are not the way to build depth. I totally agree, about the players not having any energy. Yep, he absolutely will. But I think the critical piece is Turner. If Forsythe gets better it will be a plus, but I expect him to play just like he has. I think a healthy Forsythe will help this team. He’s no Ryne Sandberg but’s he’s a +WAR player (1.9 WAR last year) and this team could use as many of those as it can get. Obviously he’s nobody’s favorite player but he is the starting second baseman on this team. We need the starters back. At least one of them isn’t coming back and with the financial restraints we are operating under getting a solid replacement isn’t likely to happen. Like it or not, Forsythe is the starting second baseman. Brock Stewart sent back to OKC, Edward Paredes recalled from OKC. The pitching carousel continues. You are right Badger, they need all the plus WAR guys they can get back in the lineup, they also need Taylor to quit swinging at every dead fish they throw up there. And they need to keep Kemp in the lineup as much as possible. Tonight’s Dodger starting lineup has 19 homers as a group……..the first 4 hitters in the D-Backs lineup have more than that. 21. The snakes are good. But they are not .700 good. We need to stay close. Talk shows today: the Dodgers are done. The Dodgers should go after Machado now. 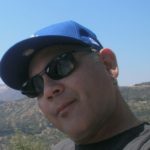 The Dodgers should not go after Machado. Going after stars is not what these guys do. I certainly agree with some of that. We need to begin winning Kershaw starts. Paredes huh. I think we need more. Paredes represents the first of several baby steps we need to take before Justin Turner gets back. You can bet baby steps and surprisingly small steps will be the only things that the FBZ does this year. Seager being out creates too big a hole and let’s them off the hook (but that only magnifies their misses at last year’s trade deadline and this offseason). And for all the so-called dope-fiend moves the former DBacks FO made, they sure are sitting pretty at this point. Will they have a meltdown of 2016 SF Giants proportions? It is going to take that type of luck for us to win the division again, I am afraid. Meanwhile the Yankees have hardly lost since they called up Gleyber Torres – need I mention again who gifted them that franchise player? As if the Yankees needed any more help! Both Astros and Yankees back on top of their divisions. And I think we have not seen the worst. I totally agree with you, about the Yankees. And I don’t think we have seen the worse yet, either. But I think some of the choices the Dodgers have made, is part of the reason, they are not doing well. To much politics, and not going, with their best players. No one is happy with the Dodgers at this point, including the Dodgers themselves. The perception is that time will make a difference. Somehow, over time, we will somehow get better and win the World Series. What is this ‘somehow’? Is it not a combination of smart decision making coming right down from the top? This team has been troubled for decades with ownership and management issues. Maybe it reflects the mentality of Los Angeles itself, sort of egotistical, full of attitude, silver-plated, and just plain stubborn refusal to get real. I’ve been talking about the inconsistencies of this team for 3 years now. Last year was a freak accident. No team goes on a tear like we did and no team goes on a bender like we did at the end of the season. These things reflect the makeup of the club and how they are put and held together. To me, they depend on ‘luck’. Some nights they are lucky, some they are not. Consistency does not depend on luck. Talent does not depend on luck. Work ethic does not depend on luck. Health can depend on luck but not totally. The FAZ guessing game is coming to its logical conclusion. They thought they could build a team on numbers and luck. Reconstructing bodies that fail pro athletes is already a philosophy that has a high percentage of failure. Combine that with the lack of perceived talent and you have a team that is not so good and gets lucky once in awhile. A slump is not bad luck. It is a lack of tools in their mental makeup that can overcome poor judgement. It is a frame of mind. Talent is partly overcoming this and harnessing the skills that you supposedly have. You need the mental makeup to be successful. This team does not have it. And, the manager seems to be some kind of pollyana thinker who never gets angry and seems to be as vanilla as they come. You need to get angry, Roberts! The players also need to get angry. Emotion is where your desire comes from. There is no connection right now to desire to win! The FO just play musical chairs and hope something happens. No vision, really, just a bunch of cheap Billionaires who think they can hire geeks and win an emotional game. I’m very pissed at the Dodger management and ownership group. I used to be pissed at the Warriors ownership and management until the team was sold and the new group had the passion to put together a winning combination of talent, management, and desire to win. They began to create their own luck with the kind of energy that it takes to be a winner. Dodgers don’t have it and won’t have it with this current group. Even Magic Johnson can’t effect this outcome. It’s systemic. I’d like to be able to go point by point and offer argument here Jeff, but in all honesty I can’t. I found myself agreeing all the way through your post. I’ve never liked how FAZ goes about their business, but the team surprised the hell out of me last year so I was willing to admit I was wrong. But this year has a very different feel to it. This is the year we are resetting the cap. We aren’t going for it. It feels like this team knows that and is playing to the not going for it level. I think it will get better, but in a game we really should have won we go 4 for 30, 0 for 7 WRISP, and add yet another BS to the stat sheet. This team finds ways to lose as a team. These slumps happen to all good teams. It’s the first week of May. I’ll not give up on the season but this show isn’t worth watching. Totally in agreement. And even though it is only May, a 9 game hole is not that easy to overcome. Especially when the team as a whole is breaking down. This is the time where you need to send the best 8 out there every day and screw the platoon crap. Matt sits for most of the weekend, then you expect him to be sharp his first start in days? Moronic. They got under the Tax and the fans are footing the bill having to watch this train wreck.